Today’s spooky episode of The Workshop is absolutely jump scare free… or is it? Listen – if you dare – to a very special edition of Coffee Drank followed by a discussion of scary movies and Halloween. First Man is probably a good movie that we really didn’t have a good time with. We’re taking this show on the road, baby! In 2019 watch out! 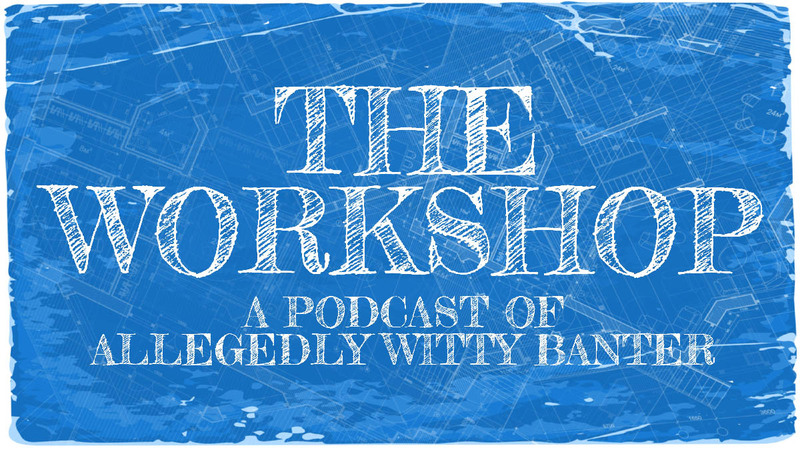 No town, city, hamlet, or census-defined places are safe from THE WORKSHOP PODCAST WORLD TOUR! Also on this decidedly off-the-rails episode: anti-jokes, hipster calendars, games shows, and, of course, millennials ruining more things. 2018 marks the 10th anniversary of Breaking Bad. We talk at length about the whole show – the characters, the story arcs, and the themes.